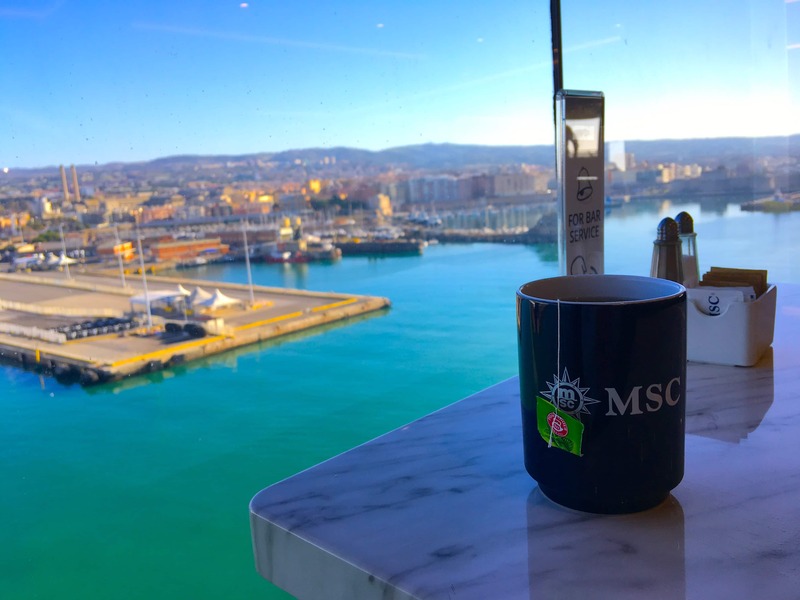 The following points are based on my experience cruising onboard the MSC Meraviglia. I have previously been on 9 NCL cruises and 1 with Royal Caribbean which I use in this comparison. It goes without saying that these are just things that I noticed during my cruise, they may be different on other ships so please do let me know in the comments if you agree/disagree with any of the points that I have made. If you cruise with NCL/Royal Caribbean you will rarely hear announcements in any language other than English. 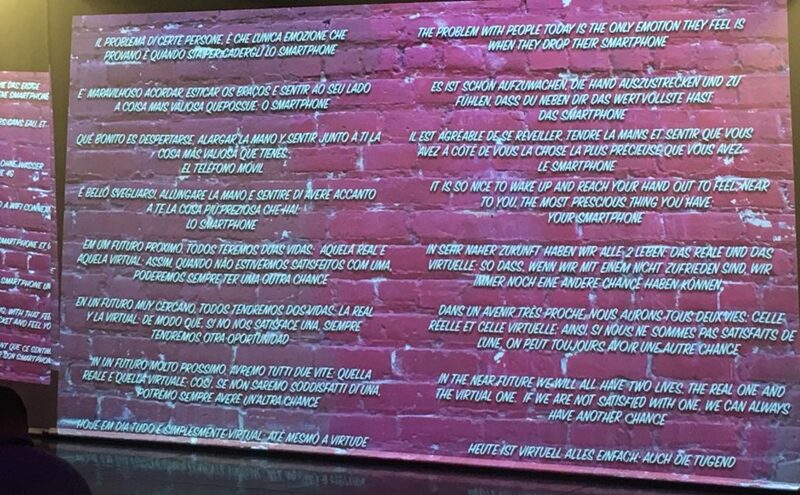 All the signs are in English and English is the language spoken in the bars, restaurants and theatre shows. Even if you are cruising from a country which doesn’t speak English the majority of passengers onboard will speak English. Onboard MSC everything is done in a multitude of languages. 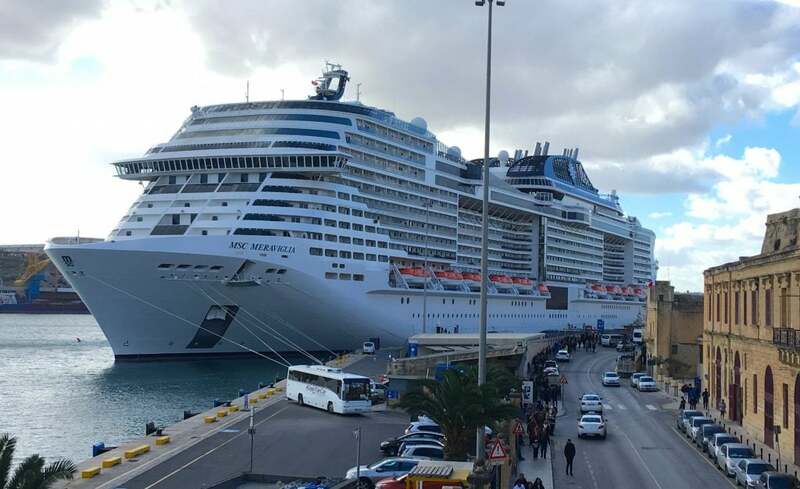 When I was onboard the MSC Meravigilia I counted most announcements being done in 7 languages! This was usually all by one person may I add, which made me incredibly impressed as I only speak one language. It can make things a bit confusing as you are constantly listening out for the ‘English bit’ in the announcements and looking for the English version of the menus and written instructions. I actually enjoy hearing things in other languages, it reminds me that I am abroad and not at home! It did get a bit confusing at time though so it’s NCL/Royal Caribbean for me. Cruises typically have a start and end point. There may be some variation on this, for example taking a longer or shorter cruise than standard, but nevertheless, there is always an obvious embarkation and disembarkation day. As a result, the lifeboat drill happens once and everybody attends. Passengers can get on and off at almost any port. There is no set embarkation and disembarkation day with people coming and going almost every day. This means that everybody is at a different stage in their cruise, it is strange seeing some peoples suitcases outside their doors ready to leave when you are just starting your cruise! During the cruise, there will be lots of mini lifeboat drills for the guests that have just joined. It was a little bit weird ignoring the other lifeboat drills as they were announced around the ship. It is worth noticing too that the services around the ship do stop when life boat drills take place, even if you personally don’t have to go to the lifeboat drill. I like the flexibility of MSC which really allows you to pick the cruise dates that suit you. We were on a very strict time schedule when we booked this cruise. If the cruise had been a day earlier or later we wouldn’t have been able to cruise at all. So it’s MSC for me on this one. I love the entertainment onboard NCL ships. Priscilla Queen of the desert onboard the Norwegian Epic was one of the best shows that I have ever seen. I actually booked to see it on land after I came back from my cruise and to be honest it was better on the ship! Royal Caribbean and NCL usually have a combination of musicals, musicians, bands, comedians/jugglers etc. 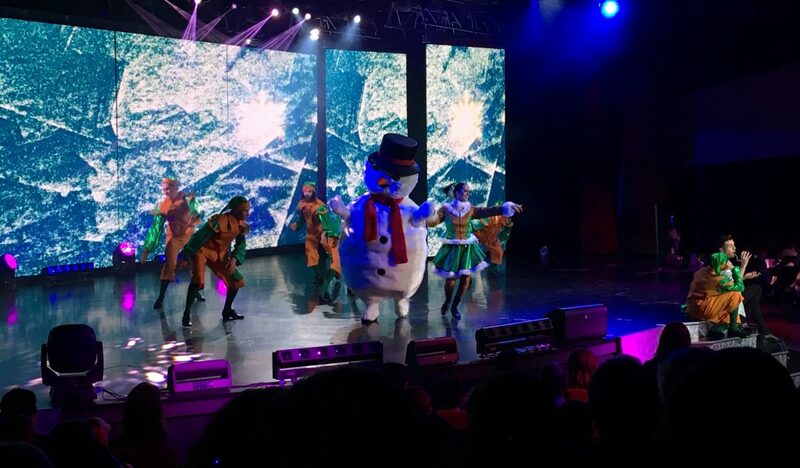 They also have a lot of other entertainment going on around the ship during the day and into the evening. Onboard the Meraviglia we saw shows which featured the dancers dressed as emojis and dogs. It was definitely ‘entertaining! but not the best entertainment I’ve seen at sea. NCL/Royal Caribbean without a doubt. I did know what to expect when I cruised with MSC but honestly even I was a little confused by the dancing dogs, barking at things and pretending to lick their private parts! I did watch Cirque du Soleil onboard though which I did enjoy and a Christmas show on Christmas eve. 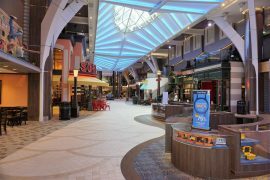 When cruising with NCL/Royal Caribbean you set up your credit/debit card at check-in. You can also pay in cash at the end of your cruise although I have never done this. You need to set up your credit/debit card when onboard the ship. Dotted around the ship are machines which you use to link your cruise card to your card. 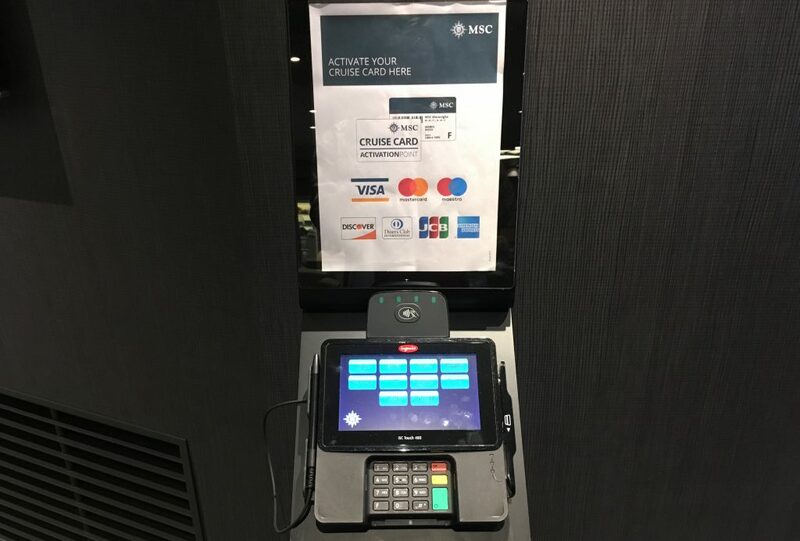 You have to touch your card against the machine (contactless) and then insert your credit/debit card. At this point, you can select if you would like to attach the same card to any other cruise accounts. NCL/Royal Caribbean. It’s a bit of a faff trying to find a machine and remember to set up your card. Probably just me being lazy though! If you have a beverage package onboard NCL/Royal Caribbean you just have to show the waiter your card and your drinks will appear. Woohoo! They may take your card to swipe but half the time they don’t even bother with that. Onboard MSC you have to sign for every single drink that you have. I had the unlimited beverage package and if I ordered a drink I would have to sign a little electronic tablet which told me how much was included in my package and how much would be charged to my card. It makes sense! I think I prefer the NCL/Royal Caribbean way of ordering drinks. 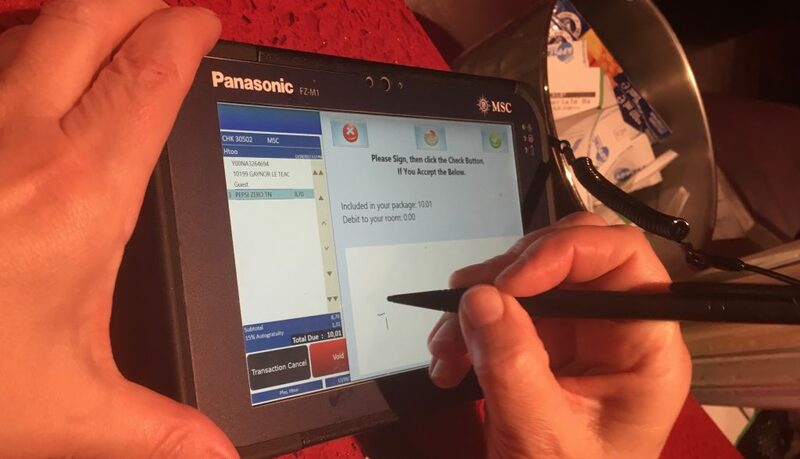 MSC’s tablet does make sense but I am just far too lazy for that. I also worry about how many germs are on the touch screen of the tablet considering that MSC rarely had any hand sanitiser (more on that later). Service on the two cruise lines is very American in its approach. What I mean by that is very friendly and waiters will keep coming back to your table to ask you how your meal is. I can’t help but think of Johnny Rockets here where the waiters literally danced for you during your meal! The idea seems to be that the passenger is always right and the staff will go out of their way to make you happy. I had read many bad reviews about the service on MSC before cruising with them. We didn’t encounter any bad service at all, it was quite different to the service onboard NCL/Royal Caribbean though. Onboard MSC the waiters will bring you your food but then don’t continually come back to ask you how it is, they will, of course, be happy to help if you have a problem though. All in all the service onboard MSC was good, everything that we needed to have done for us was done but it didn’t feel as forced or overly friendly as I am used to onboard NCL/Royal Caribbean. Probably NCL/Royal Caribbean. I quite enjoy the over the top American-ness of the service. If you order a soda it’ll probably come from a fountain and it’ll be full to the brim with ice (unless you ask for no ice). If you order a soda onboard MSC it’ll come in a can and they won’t give you ice unless you specifically say that you want some. Woohoo! MSC without a shadow of a doubt. I hate having ice in my drinks, especially when it isn’t hot outside. 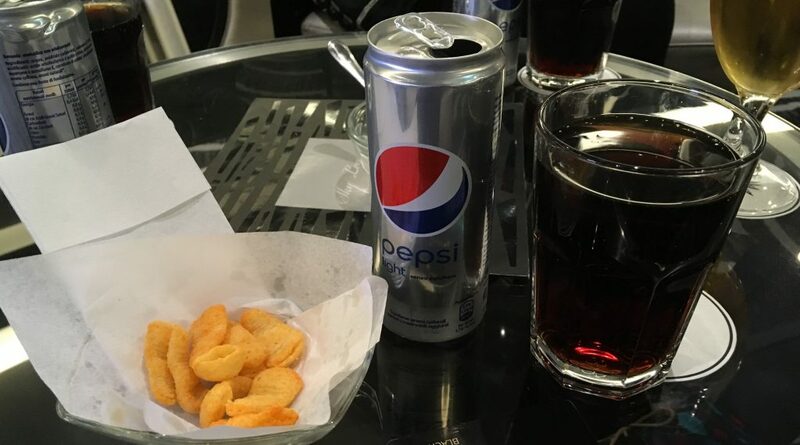 It’s also nice to get proper Pepsi from a can rather than the diluted fountain stuff. NCL reminds you to sanitise regularly and states that ‘washy washy = happy happy’. 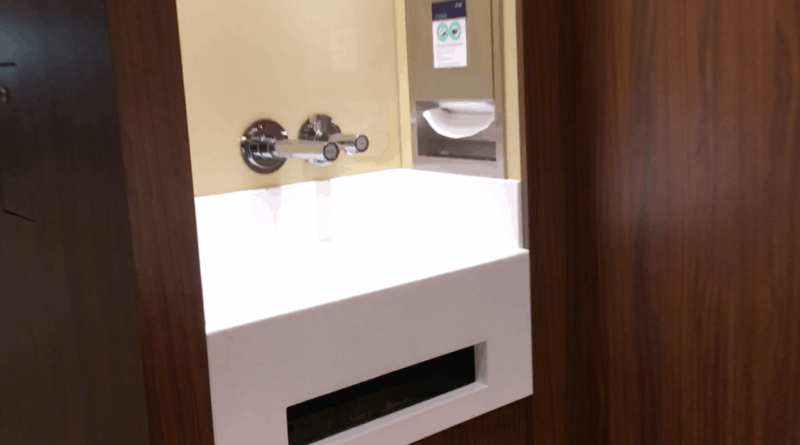 When we cruised with MSC we saw very little hand sanitiser. There were a few machines dotted around the ship but they were often empty and when we stopped to use them other passengers looked at us like we were being a little mad. When we boarded the ship there were a number of occasions where they were was no hand sanitser at all. They had sinks and taps at the entrance to the buffet but we rarely saw anybody use them apart from us. NCL/Royal Caribbean! I am aware that hand sanitser doesn’t kill norovirus and other flu bugs but it would have been better than nothing. There are so many winter coughs and colds going around at the moment that the lack of hand sanitiser was really worrying. This may be different on other ships though as I am basing this purely on my experience on the Meraviglia. I love the food on NCL/Royal Caribbean ships. In my past experiences, the food has always been good and the portions are a fair size. The buffet has variety of foods from around the world but always has American options like burgers and hot dogs. NCL also have O’sheehans which I visit often, sometimes between meals… O’Sheehans is a bar and grill and is a great place to get some mozzarella sticks, a burger or some buffalo wings. The food in the main dining room was much more ‘Mediterranean’ than I am used to eating at home (lots of pasta and vegetables). The buffet was mostly pizza/pasta/bread but they did have an ‘ethnic’ corner and a grill which had burgers and hot dogs. I am aware of a number of complaints online about the food on MSC but I really don’t understand the complaints and/or didn’t have the same experiences. The food was of high quality, hot and although the portions were smaller than I am used to at home, it probably did all of our waistlines some good! I will be writing a full review of the food onboard MSC with lots of pictures of food and menus. So make sure you keep your eyes peeled for that! I think NCL/Royal Caribbean still win on this one for me, just because I like American food and one of my favourite things about cruising is overeating (hard to do that on vegetables). 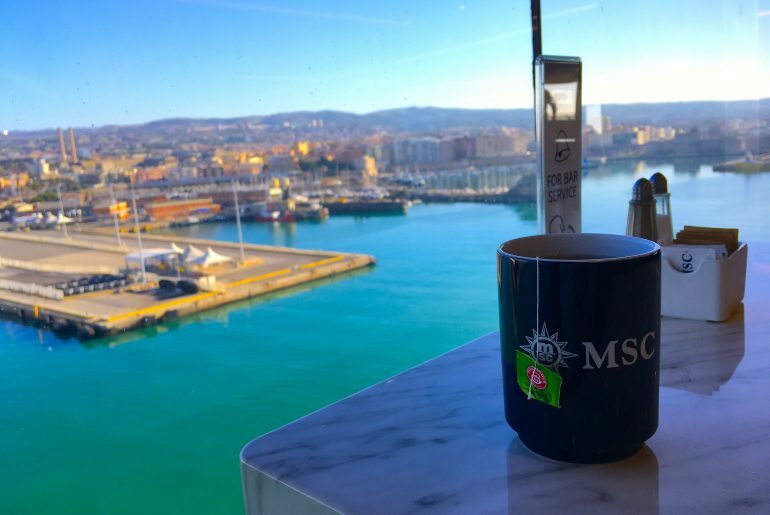 It was fun to try new foods onboard MSC though and I would definitely urge people to ignore negative reviews about MSC’s food! I also enjoyed how long the buffet was open for on MSC, considerably longer and later than on my last Royal Caribbean cruise. On both these cruise lines it is almost expected that you will have a drink when you watch a show in the Theatre. 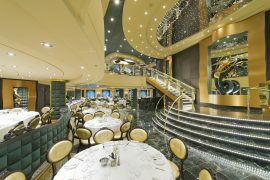 Most cruise ships will have a bar within the theatre and waiters will often wander around the crowds asking passengers if they would like a drink. There was no bar in the theatre onboard the Meraviglia and I believe this is the same for most of (if not all) of the MSC ships. Please let me know if I am wrong about this one! 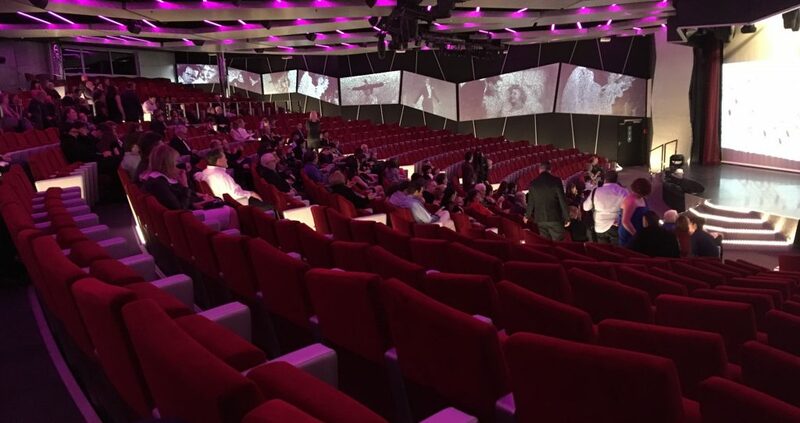 MSC don’t seem to allow drinks in the theatre at all, even if ordered at another bar. NCL/Royal Caribbean of course. I love having a drink when watching a theatre show although it really made very little difference to me when I was unable to. I love cruising with MSC and I love cruising with NCL/Royal Caribbean. They are pretty different in a number of areas but I don’t think that one is necessarily better than the other. I would definitely consider a cruise with MSC again and would like to encourage everybody loyal to NCL/Royal Caribbean to try MSC. That said, it is important to remember that it is an italian line which do things differently to the American/British lines. I will be bringing you guys a lot more info about the Meraviglia in the coming few weeks. Cabin tours, ship tours, food reviews and loads more I’m sure. Make sure you subscribe to my YouTube too as I have a lot to show you: Emma Cruises. 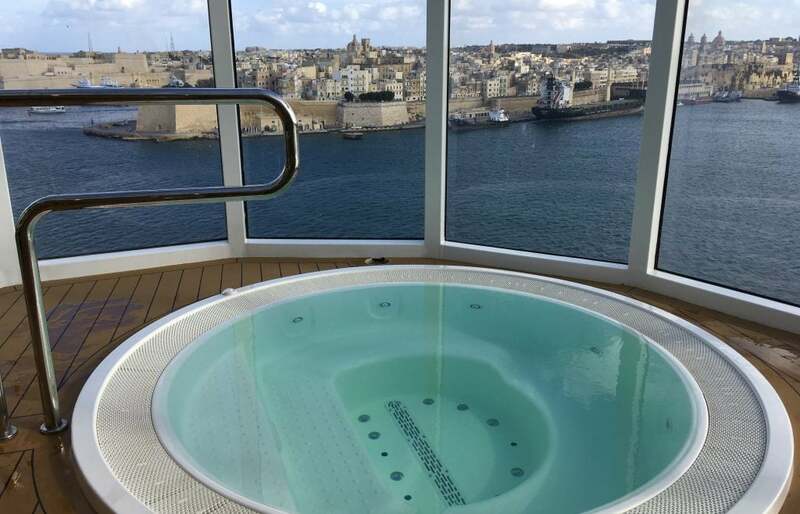 Have you ever cruised with MSC or NCL/Royal Caribbean? Lets me know in the comments. Interestingly, Princess was even more international in 2016 as we had even Russian and Chinese announcements onboard! I will never go on MSC my girlfriend did and while on board a guest got an e mail of the credit card numbers of all the other passengers. O yes they were sorry and offered a credit on a future cruise. I haven’t yet read the entire post, but would first like to know why you put NCL/RC together, as if they offer things the same way? We LOVE NCL and tolerate Royal Caribbean when other family members insist on using it. I’ll comment further after reading .. thanks! ha ha! Because I’ve cruised with both and really noticed very few differences between the two. In comparison to other cruise lines they seem very similar! What is it you don’t like about Royal? We will be cruising on Meraviliga in April and am really looking forward to it. Have only cruised with P&O before so not much to compare it with. Will be interesting to see the difference. Absolutely, think they’ll be quite different. P&O are very British. You’ll enjoy both though! My family and I have cruise RCCL suite, Disney Concierge suite, and MSC Yacht Club and we prefer the MSC Yacht Club over those three cruise lines. We’ve had some of our best family vacations aboard the MSC Divina and will soon be cruising aboard MSC Seaside in one of her two Royal Suites. I’m 50 now and I think I’ve found the cruise line I’m sticking with for my cruise vacations for the rest of my days. Thank you for writing this blog, it is just what I need! I am planning to cruise Baltic area in May 2019. I have been on RC ( Ovations of the Seas) before. so wanted to try MSC Meraviglia. but then I found so many negative reviews online! main complaints were on service and food quality…. I was struggling between MSC and RC. After reading about your experience, I will just give MSC a try. (just need to bring my own supply of hand sanitizer!) I do hope MSC has noticed the negative comments on internet and have improved cruise operation. Hey! I’ve just booked the MSC Meraviglia again for January so I think that goes to show that I think it’s good! It definitely is a different experience to Royal Caribbean but that isn’t a bad thing. I hope you have a super time! Thanks for commenting. Hey Yelena! I got back from the Mediterranean on Sunday and it was really quite chilly. On average around 12c but we did need a coat on a couple of days.